Born in as Iijima Takao in Ibaragi Prefucture. He graduated from the Tokyo University of Education in 1954. He took the name Ay-O. Ay-O joined the Demokrato Artists Association. He founded the short-lived group Existentialists(Jitsuzon-sha). He moved to New York . He was introduced to George Maciunas(the founder of the anti-art movement “Fluxus”)by Yoko Ono. He stumbled upon the style would come to define him. Instead of worrying about the choice of motifs and colors, he decided to use all the colors of the spectrum equally and use motifs that came to him through a wide variety of media. 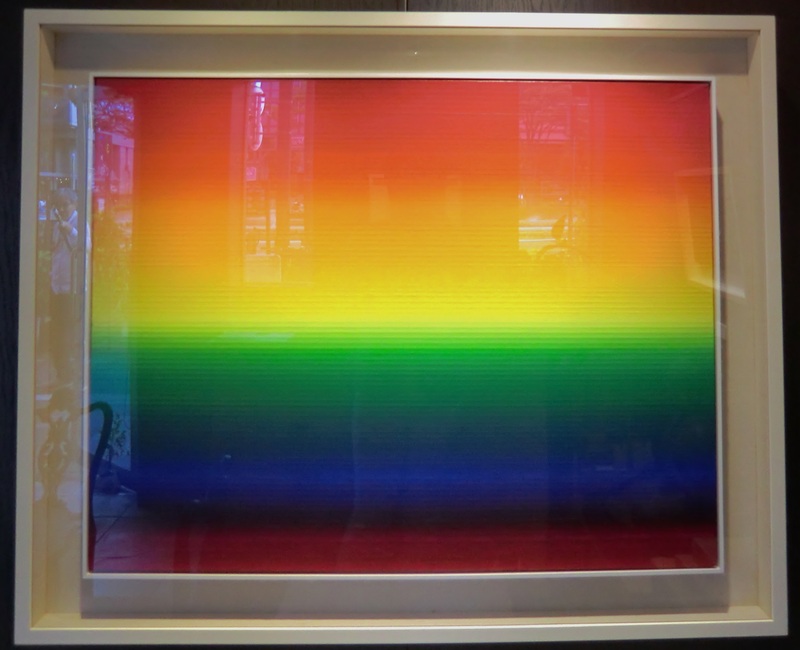 Representing Japan at the 1966 Venice Biennale ,his signature rainbow style gained him international recognition and fame. He taught at the University of Kentucky. Returned to Japan and Ay-O returned to Japan following his teaching assignment and in 1970 he constructed his famous Tactile Rainbow Room for the Osaka World Fair, “Expo ’70. He represented to Japan at the São Paulo Biennale and he remained in Japan until he left for travels in England, Europe and Nepal. He created a series of his “Rainbow Happenings” including his best known Rainbow Eiffel Tower Project in Paris . His work was included in the exhibition In the Spirit of Fluxus organized by the Walker Art Center, Minneapolis which traveled to five other museums. His solo exhibition “Some Happening Pieces No.9 Object Mandala” was held by Kasseler Kunstverein, Museum Fridericianum Kassel. He had a major presence in the special exhibit La fluxus Constellation at the Museum of Contemporary Art in Genoa. the Museum of Contemporary Art Tokyo mounted a large retrospective of his work titled Ay-O: Over the Rainbow Once More.